New Philips DVP5992 DVD player with USB 2.0 feature!! Where can you buy the Philips DVP5992? Philips gave me a list of all the retailers in my area that supposedly sell this unit and none of them have it. Philips says the DVP5990 only supports digital music and photos through the USB port. I assume that's because it's only USB 1.1 while the DVP5992 supports playback of movies, music and photos through the USB 2.0 port. Would be nice to be able to walk into a Walmart, Bestbuy, Target, Circuit City, Sam's Club and Costco and purchase this unit like Philips states that you can instead of having to purchase it through the internet. EDIT: The 5990 doesn't support WMV either. Where did you hear that the 5990 doesn't have USB2 or play WMVs? I must be dreaming then because the box my 5990 came in says USB2 and WMV support. It plays high bitrate video through the USB port fine. 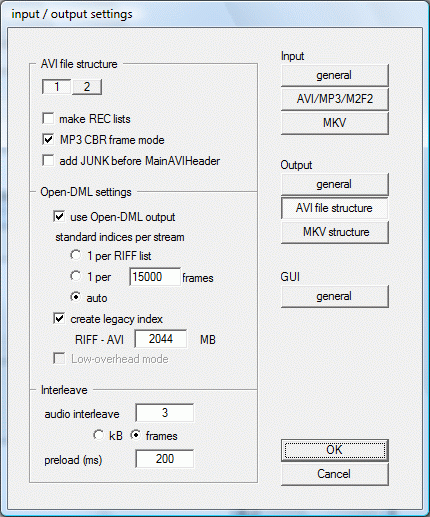 WMV, Divx, Xvid, MPG and MP3 just fine. Somebody has feeding you a line. You don't have to believe owners of course. You could go to Walmart and read the box. Or you could read the thread on the 5990 that is here. Almost forgot the best feature... Unlike the older model it's USB2 port supplies enough power to run my 2.5" laptop drive in a USB enclosure. Simply plug your device into the USB port on your Philips DVD system. Your digital music and photos will be played directly from the device. Guess I should've searched for the 5990 thread. Wonder why Philips would mislead everyone if it's the same player. One poster said that a Philips tech said they are the exact same players, just different colors. I have a Coolmax external hard drive enclosure which has a power supply. Will I be able to hook this up with the power supply turned on or will I have to leave it turned off with the USB connected? Surely it has to be turned on to power the hard drive, no? I find all this talk about needing usb 2.2 for playing movies on the Philips. I have a 5982 & I play DIVX & XVID movies all the time off of a 2 GB thumb drive with no problems. If the external enclosure is a laptop drive then it shouldn't need extra power. If it has a desktop drive then it will need to be powered. dfisher052, the advantage of USB2 is smoother Fast Forward, and the ability to play high bitrate files without them stuttering. I has some DVD ready MPEG2 files that stuttered in the 5982 through the USB port and they play fine in the 5990. Thanks for the info, TBoneit. Looks like I'll be heading down to Walmart today to pick up the 5990. My DVP5992/37 has some problems. I bought it from local COSTCO last weekend and only hooked it up to my LCD TV via HDMI cable today. DVD playback is ok and I think I can see some visual improvements from the normal DVD players. However, I did find some problems when I tested the movie file playback from USB. First, it does not play my XVid files whose filesize are around 2.5 GB. I can see the file name displayed on the screen but after I clicked it I only got a freezed screen. The DVD player either displayed "LOAD" or "STOP" while the light on my 8GB USB driver keeps flashing. This lasted probably more than 10 minutes or even longer until the DVD player started to play only sound of the movie but without pictures. I tried to power cycle the machine several times but never succeeded. Second, this DVD player did playback some small AVI files from the USB driver (~700 MB each). But it took about one minute to start playing the movie after I clicked the file from the menu. I did upgraded the player to the latest firmwire .27 and could not find anything that I can do to get rid of these problem. Does anyone have similar experience or better ideas? Thank you. that usually means they encoded in a manner not compatible with the player. Try GSpot on them and post a screen shot of it after editing out the file name and you'll get more help. My 5990 plays most all the files I try. WMV or AVI. No OGG or MKV of course and nothing with a resolution greater than standard DVD resolution. Do you mean I could only use this DVD to playback small avi files where the file size is smaller than 1 GB? That would make this player less attractive to me. Also I don't understand why I have to edit the file name of the AVI file that I am about to play. Is that a problem? About the load speed: I have the 5990 model. I've never had problems playing files around 1.5 GB or so, and they load pretty quick. I just timed a 700MB file at 15 seconds. I imagine that this is a function of your USB stick's read rate. The one I use is about 25MB/sec. Most are slower than this, often less than 10. If you want a faster one, get one that says "Readyboost" on it, or read some online reviews. About the file size thing: I'd never tried to play a file greater than 2GB on my 5990 (I read a long time ago that that was troublesome on some of the older players like the Philips 642, which I used to use, so I just don't make them that big). After seeing your post I thought I'd check it out. The largest AVI I had was 1.9GB, so I clipped about 700MB of it and added it to the end of the original file to give me a new file of 2.6 GB (I used Virtualdub mod), then copied the original and the larger file to an 8 GB thumb drive. The original file played fine, though it did take 30 seconds to load. I gave up trying to play the big file after waiting for it to load for about 7 minutes. I then took the big file and remuxed it using Avimux Gui 1.17.7, copied it back to the thumb drive, and this time it played fine. It took 58 seconds to load. Fast-forwarded to the new section at the end and there were no problems with playback. So I'd recommend re-muxing your big files using Avimux Gui. It needs to be configured properly, though. To do so, open Avimux, then open an Explorer window, go to the "Profiles" subfolder of your Avimux installation, and drag the "Profile - Standalone AVI - MP3.amg" file into the "open files (add files via drag & drop)" window of Avimux Gui. Nothing will appear to happen, but this will take care of most of your settings. Now click on the "settings" button, then "AVI file structure". This section may have already been set by the profile (it's been so long since I've set it up, I don't remember), but if not, then put a check-mark next to "use Open-DML output" and "create legacy index", and in the RIFF-AVI box, enter 2044 (see screen-shot below). To remux, just drag your big avi file into the "open files" window, click on it, then click on "generate data source from files" just below the "open files" window, then click on "start" and specify a location and a new file name. Re-muxing is very fast, approximately as long as it takes to write the new file out. Alternatively, you could just split the big file into smaller sections using Vdub(mod). And as regards your question about having to edit the file name of the AVI, I don't know what you mean. I had the same problem with the freezing with OPEN and STOP but after messing with it for a couple of hours, I figured out that if I skipped the first file in the folder that the second one would play and then I could go back to the first one. For a while, I thought the only files that it would play from the external drive was .divx files since that was the only folder I could get to play. If I tried to play the first file and then the second file, the second file would not play and I would have to turn the power to the external drive off and back on and restart the USB mode. Also, moving to different files or folders, I had to hit the stop button on the remote and hit the USB button twice to get the menu to come up. If it failed to come up, I had to do the off/on routine on the external drive. Also, I'm not sure that this player will play WMV7 or WMV8 files. I was only able to play WMV9. I'll have to get a couple more DVD-RW discs and do some more tests. WMV8 will not play at all. WMV7 is iffy. One file played fine, one file played like a slide show (very badly) and one file refused to play at all. Also, computer files seem to be way to big for the screen. They look like they're in zoom mode but they're not. Not sure about DVDs yet. You may be seeing the effect of an "aspect ratio" setting that doesn't match your TV. There is an option in the DVP 5990/5992 "Setup" menu to specify your TV's aspect ratio. The choices are 4:3, 4:3 with letterbox, and 16:9. Try each one and see what gives you the best result. There is no difference at all in the 4:3 Pan Scan and 4:3 Letter Box in any of my files on disc or HDD. AVI will switch to 16:9 ( WMV will not ) but the height does not change and the width get squished. 4:3 Pan Scan and 4:3 Letter Box do nothing at all. If I remember correctly, the 352x288 files were always too long for my screen but the width was OK and normal resolution files always played correctly. I re-encoded a test file which I resized to 588x440 and letterboxed to 640x480 and it fits pretty good but I don't really want to have to re-encode every single file on my computer to get them to play right with this player. Did the firmware update to see if that would fix the problem ( it didm't ) and now I can't play anything off the USB device. This piece of crap is going back tomorrow for the Pioneer DV-410V. thats your fault not the player. No, it should look like the first image you posted. All televisions overscan. The outer ~5 percent (the exact amount varies from TV to TV) of the image on all four sides will not be seen. All sources will look the same, DVD, Divx, over-the-air, cable, camcorder, etc. If you get a Pioneer DV-410V it will do the same. You have never seen the outer part of the picture on any TV. You just never noticed because you didn't have any external reference (like viewing the video on a computer). Every television producer knows this and avoids putting titles near the edges of the picture. 352x288 is obviously from a 4:3 source. But the frame size is a 1.22 AR not 1.33. Your previous player was displaying the files with the wrong aspect ratio, 1.22, so the edges of the frame were filled with black bars to fill out the 1.33 TV screen. Just curious but I am assuming this harddrive support is for fat32 formatted drives and not ntsc formats correct? I'm not really in the market for a new dvd player especially since this can't handle hd divx. Though it is intriguing if it can support usb 2.0 AND NTSC formatted drives. USB 2.0 but only FAT32. How is it my fault that the firmware update stopped the external hard drive from working? It worked fine before the update. The manual recommended updating the firmware from their website. If it's my fault for following their instructions then I guess you're right. Would be nice if I could revert back to the original firmware. As for the overscan, I can understand a little bit of overscan ( 3.5 % ) on 4:3 TV but not as much as I'm getting ( 10% ). Five percent would be great and even 7% would be acceptable. Why am I not able to get 4:3 Letterbox? Is this a player problem or my TV? That would solve my overscan problem or a 3/4 zoom. Not sure why they have a 1/2, 3/8 and 1/4 zoom but not a 3/4 or 7/8 zoom. Thanks for confirming. In that case I'll definitely stick with the ps3 and xbox 360 for my dvd playing needs. Edit - Oops I meant NTFS in my earlier posts - I forgot NTSC is the US broadcasting format. Sorry about that. Note, it's not the player that overscans, it's the TV. TVs vary in the amount of overscan. In fact, that is why overscan exists. CRTs, especially old ones, can't keep the picture the right size, properly centered, and nice and linear. Overscan hides all these problems. 10 percent overscan is more than usual but not unheard of. If your brave and adventurous, your TV probably has pots inside to adjust the overscan and centering. Why am I not able to get 4:3 Letterbox? Is this a player problem or my TV? That would still leave the left and right edges of the frame cut off by overscan. Setting the DVD player to 4:3 Letterbox should force it to output 16:9 video as letterboxed 4:3. I don't have the 5992 but I have the 5960 and it does this properly. What kind of cabling are you using from the player to the TV? And the TV is an old standard definition CRT? Some HD TVs have zoom modes that would zoom in on a 16:9 letterboxed video to fill the screen. That would solve my overscan problem or a 3/4 zoom. Not sure why they have a 1/2, 3/8 and 1/4 zoom but not a 3/4 or 7/8 zoom. For some reason there are very few players with the ability to zoom out by small amounts. I have an old Liteon 2002 that can zoom in or out in about 5 percent increments. The width can height can be zoomed separately. Very Handy. The TV was given to me. It's a Toshiba CF36G40. It's at least 10 years old. I found a 7 page instruction on how to access the service menu with the remote to change all the servicable settings. It says it's for Toshiba TVs but when I printed it out, the title page says Toshiba CN27V71 so I'm kinda leary of using it. I also thought that cabling might be an issue but I have it cabled the same way I had the DVP645 and DVP5940. I have Component out to my Sony Surround with composite from the Sony to the TV. Guess I should drop the component and just run composite. Right now my biggest concern is getting the USB to work again (that's the reason that I bought this unit). I sent an e-mail to Philips support and they said they'd give me an answer in a half hour but that was a couple of hours ago. I may have to exchange this unit and hook my 27" Sony back up. If I have to zoom out to 50% to watch anything then I'd be better off watching full resolution on the 27". This TV doesn't have audio out like my Sony so I can't watch regular TV in Surround, Only DVD and VHS. Check your AVI files with Mpeg4Modifier to see if they have DAR flags. The 5992 supports DAR flags whereas the older models didn't. That could cause them to play back with different aspect ratios. For example a 480x480 frame with a 16:9 DAR flag would playback as 16:9 one the 5992. But the earlier players would play it as a square picture pillarboxed in a 4:3 frame. how do i install/upgrade firmware using usb stick? dvp5992? New Philips Upscaling DVD Player DVP5982/37 1080P! and USB 2.0 Support?